As we all know, science has no hold on the imagination of the young and old in our society, nobody cares about rocks, minerals, fossils, and all that stuff. I mean, one could offer a show with that stuff, and we simply realize that no one would show up. Or maybe not. Every year, events seem to prove the opposite. 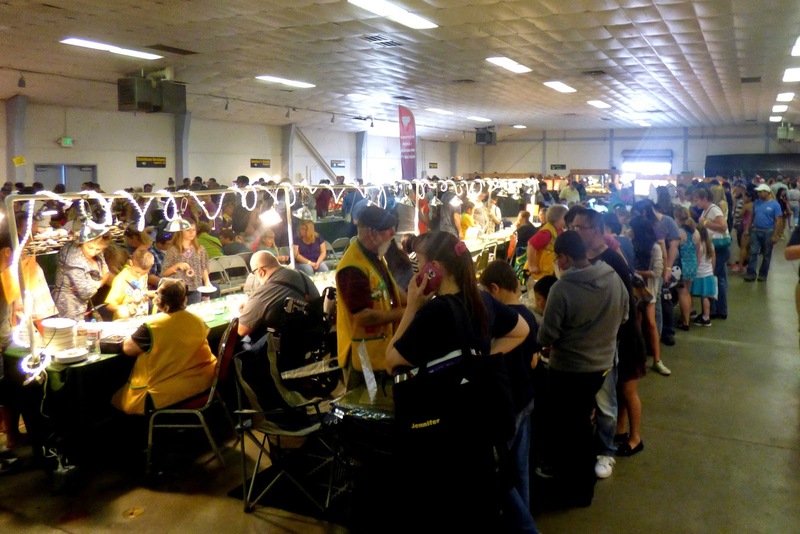 For many years, our local Mother Lode Mineral Society has held their Rock and Mineral Show at the Stanislaus County Fairgrounds in Turlock and did so this last weekend. Thousands of community members, old, young, and in-between, showed up, as they always do. If you follow these sorts of things, you can imagine that there are lots of concessionaires hawking their wares, and you'd get the feel that the whole thing is a gigantic sales event. And if they're just selling stuff, why even show up? But the Turlock show is special and different. They devote a huge amount of space for education. 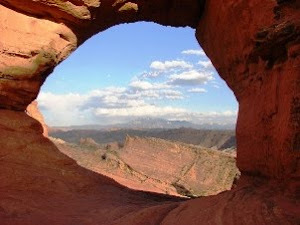 There are dozens and dozens of wonderful displays of all aspects of earth science, including paleontology, minerals, rocks, mining, and environment. 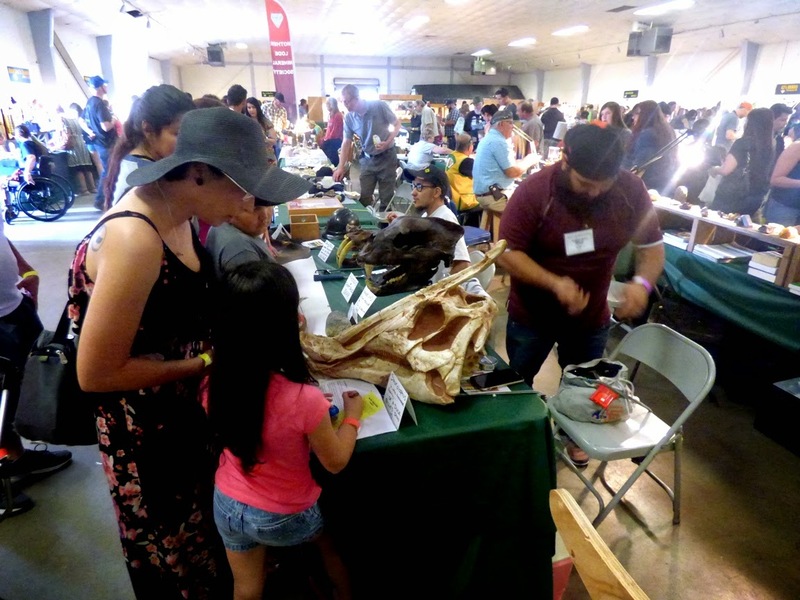 They make a point of inviting related groups to put up tables, including our new Great Valley Museum, the Geology Club at Modesto Junior College, and many others. They have excellent speakers on numerous topics. The kids who attend, parents and grandparents in tow, have a great time. They are fascinated to find out tidbits of information about their home environment, including the fact that Mosasaurs, dinosaurs, wooly mammoths, giant Short-faced Bears, and many other creatures used to live here at different times in the past. 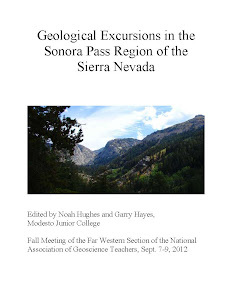 We have some serious fans of paleontology in our area, and every year brings some new discovery. 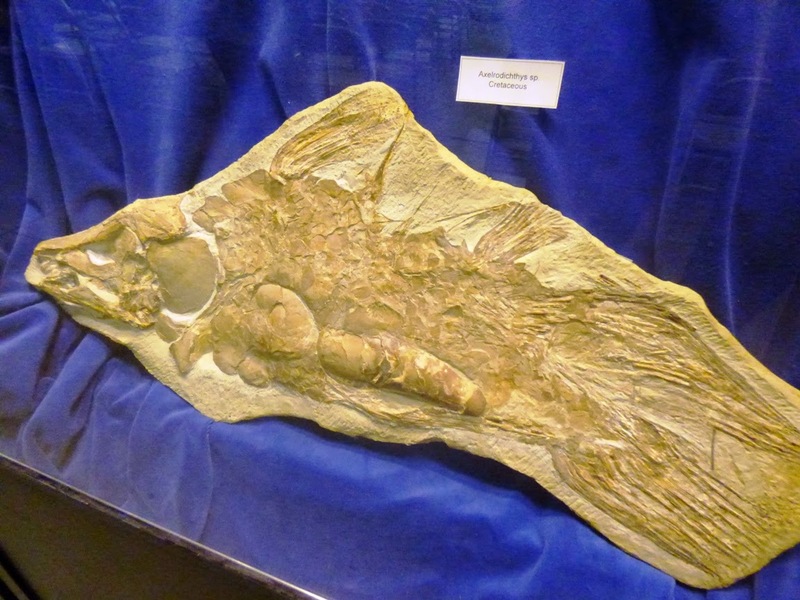 They had a Coelacanth display with seven different species of this ancient fish that was a precursor to the amphibians (they had lobed fins instead of rayed fins; their bottom-crawling lifestyle led to legs later on). I don't think I've seen that many in one place in any museum. 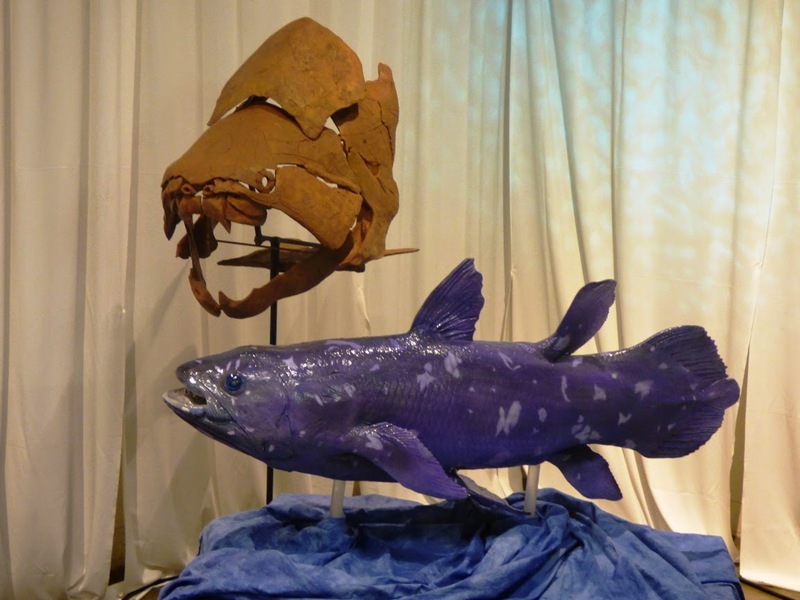 Dunkleosteus and a Coelacanth, two ancient orders of the fish family. Dunkleosteus grew to a length of thirty feet or more. The Coelacanths, thought extinct until one was discovered in 1938, is one of the rarest orders of fish in the world. After seeing all the cool displays, a lot of people end up hoping to secure some samples of their own, and the concessions seem to do good business. I would never fall for any sales ploys, of course. Or not. 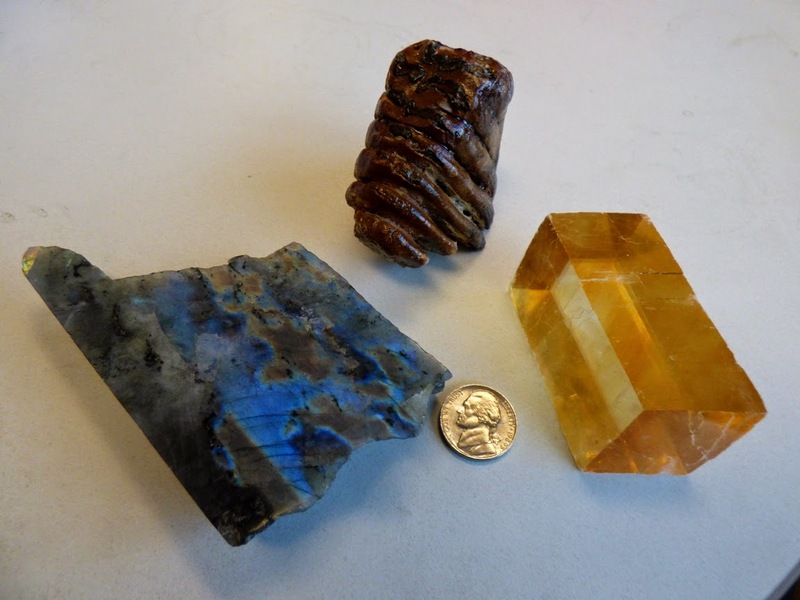 I ended up with a beautiful piece of laboradorite feldspar with its iridescent blue sheen, a nice rhombohedral cleavage fragment of orange/gold calcite, and my favorite item, the tooth of a juvenile Wooly Mammoth. All for their educational value, of course.